J-O-B. I rather enjoy interviews though as I have the chance to express who I am for an hour or so with the hopes that my personality and credentials will be well received. And so it seemed to go well, with the only question left hanging in the air to be one of “what to do with the rest of this marvelous day? There’s been a few places in mind that I’ve been dying to visit due to suggestions from the Boston Brunchers as well as other bloggers and so it only seemed fitting to explore. As I was on Boylston, which felt kind of odd and somewhat eery considering the last time I was there the marathon bombing occurred, I decided I would check out a place known as “Juice.” It has the reputation for offering fresh, healthy, and delicious fare and I was in the mood for a good ol clean and light lunch and hence, embarked on my journey to find JUICE! I..absolutely..adore..this..place. 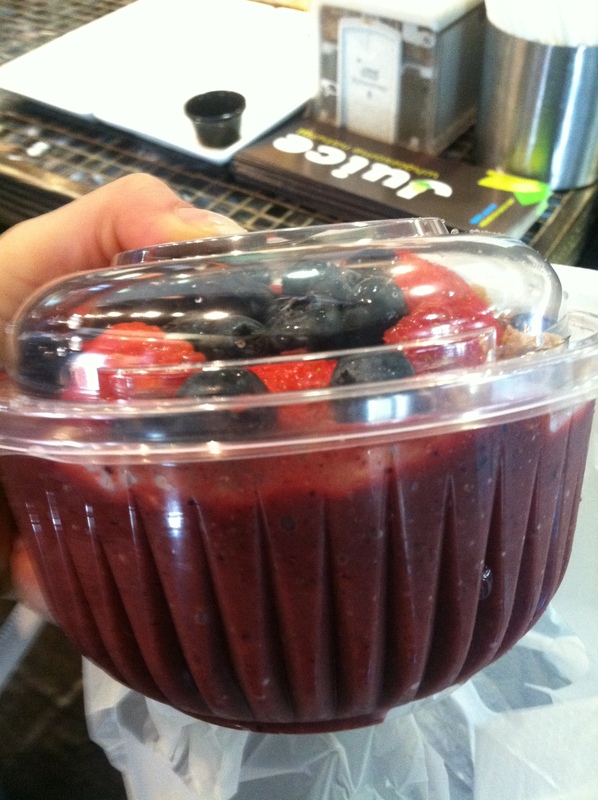 Located right next to Back Bay station, this place not only provides fresh squeezed juices and smoothies, but also organic snacks, salads, chia seed pudding, and acai bowls. 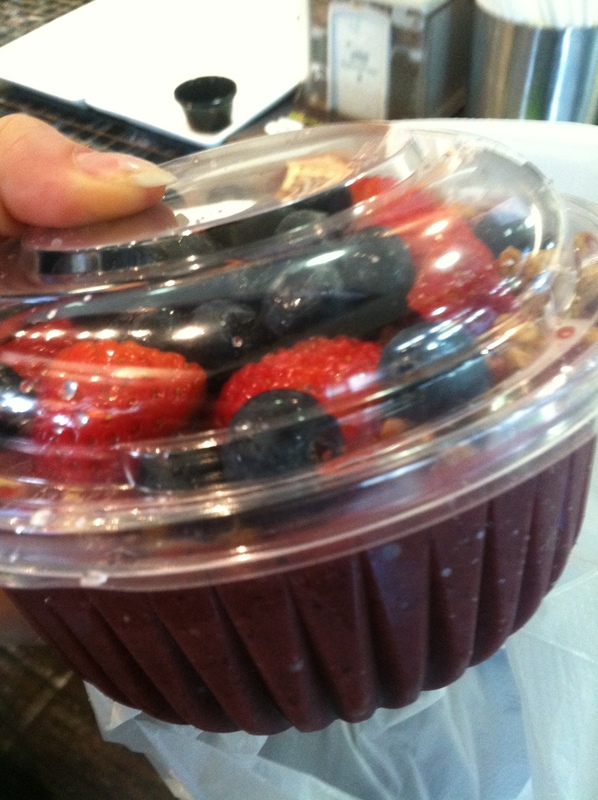 I opted for the acai bowl ( who could resist blended acai, blueberry, strawberry, blackberry, topped with season fresh berries and granola?). 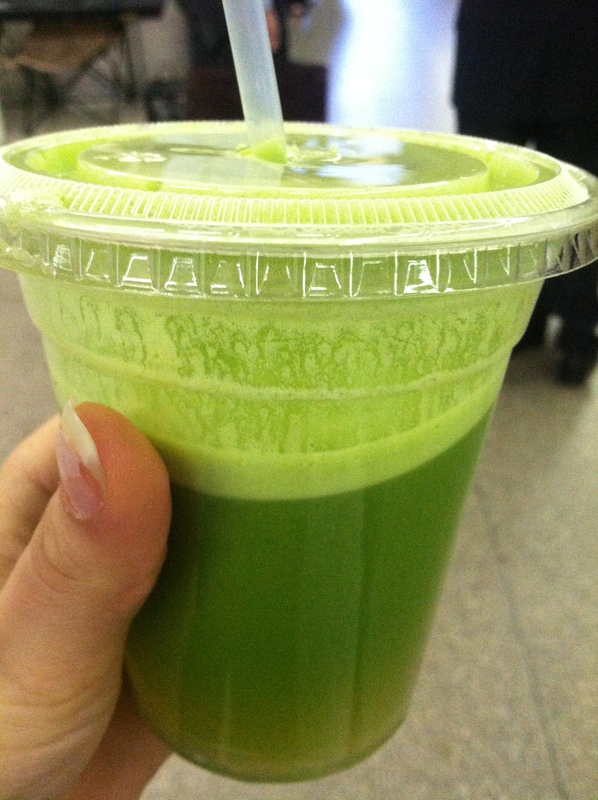 Of course, my main reason for visiting was the juice, so I got the #1. Can you tell I made it far down the menu? the #1 sounded too good to pass up (kale, cucumber, lemon, ginger, and green apple) that I didn’t even bother to read the others. Needless to say, totally met my expectations and this is a place I plan on frequenting often if you ever want to try some awesome juice with me. This might turn into an expensive habit as do most Boston obsessions of mine…. The PIRLO- SPINACH CUCUMBER PINEAPPLE BANANA STRAWBERRY AND APPLE CIDER also seemed to be a popular item. So swing by and check this place out! 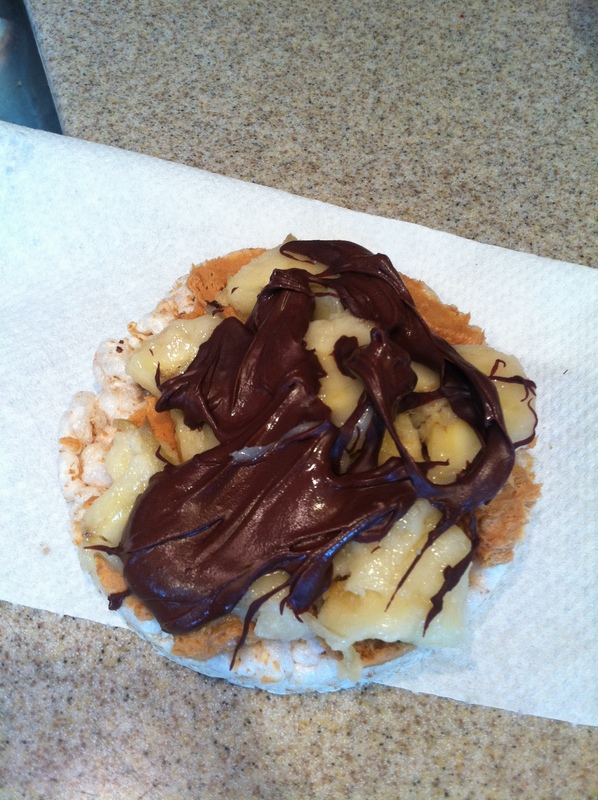 I topped this wonderfully healthy lunch off with a rice cake topped with PB +frozen bananas+chocolate. YUMMY!